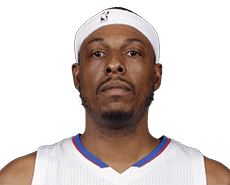 Paul Pierce of the Clippers is 38, and just concluded his 18th NBA regular season. Now he’s about to begin his 13th post-season, and that still thrills him. The fourth-seeded Clippers play host to No. 5 Portland on Sunday at 7:30 p.m at Staples Center in Game 1 of their first-round Western Conference series. – In winning their sixth game in a row and 10th in 11, the Clippers once again displayed a solid defense. The short-handed Grizzlies were held to 40.7 percent shooting, 25 percent (5 of 20) from 3-point range. The Clippers have allowed an average of only 87.2 points over their past five games. – Blake Griffin scored 12 points, grabbed seven rebounds, doled out four assists and made three steals in his fifth game back after missing the previous 45 with injuries and a four-game suspension. He played only 23 minutes and 16 seconds because none of the starters had to play in the fourth quarter. Those numbers are not too shabby at all. – J.J. Redick made three 3-point baskets in the first half to take him to 200 for the season. That tied his franchise record set in 2014-15. Unfortunately, a bruised left heel sustained in the second quarter meant he would not have a chance to break the record as he did not return. Coach Doc Rivers said after the game he wasn’t sure how serious the injury is. 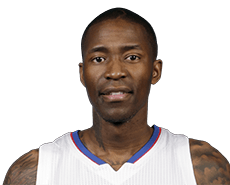 But he did say Redick, Chris Paul, DeAndre Jordan, Griffin – all starters – and sixth-man Jamal Crawford would be kept back from traveling to Wednesday night’s regular-season finale at Phoenix. If that holds true, Redick will have to wait until next season to try and surpass his record. – The victory over Memphis means the Clippers will play either Portland or Dallas in the first round of the playoffs, which begin this weekend. The Grizzlies, who have clinched a playoff spot, needed to beat the Clippers and then win at Golden State on Wednesday in order to have a chance at playing the Clippers. As it stands, if Portland wins at home against Denver on Wednesday night, the Clippers will play the Trail Blazers. If Portland loses and Dallas beats San Antonio at home, then it will be the Mavericks. – The Clippers had good numbers across the board in this one. They shot 54.7 percent from the field, 48 percent (12 of 25) from beyond the arc. They also had 29 assists, 11 steals and seven blocks. The Clippers committed just nine turnovers and shot 76.2 percent from the free-throw line; they shot 69.2 percent for the season. Jamal Crawford scored 30 points, grabbed five rebounds and doled out four assists; Cole Aldrich scored 21, grabbed 18 rebounds and made five steals; and Paul Pierce scored 18 points as the Clippers won 102-99 in overtime Friday night at Utah. The Clippers (51-28) did not have the services of Blake Griffin, Chris Paul, DeAndre Jordan and Wes Johnson – all rested. With Austin Rivers sidelined with an ankle injury, that left them with nine players, and they all played. Pablo Prigioni joined Crawford, Aldrich, Pierce and Luc Mbah a Moute in the starting lineup and scored 13 points while doling out seven assists and grabbing seven rebounds. Gordon Hayward led Utah (39-40) with 24 points. This loss hurts the Jazz because they are in the eighth and final playoff spot, just one game ahead of Houston (38-41). As for the Clippers, they have clinched the No. 4 spot in the West and will stay there. They are waiting to see whether they will play Portland or Memphis in the first round. The No. 5 Trail Blazers (43-37) moved a half-game ahead of the No. 6 Grizzlies (42-37) with the Grizzlies’ loss to the Dallas Mavericks on Friday. The Clippers’ Paul Pierce is listed as doubtful for Sunday’s game against the Washington Wizards, which is slated for 12:30 p.m. at Staples Center. The 38-year-old forward has missed the past two games with a sprained right ankle, but coach Doc Rivers said Saturday before practice that Pierce is on the mend. “He’s doing a lot better,” Rivers said. “I doubt it,” Rivers said. Veteran forward Paul Pierce did not accompany the Clippers on their two-game road trip that includes games Wednesday at Minnesota and Thursday at Oklahoma City because of a sprained right ankle. Pierce sustained the injury during the second quarter of the Clippers’ 114-90 victory over the Boston Celtics on Monday night at Staples Center. Pierce stayed back in Los Angeles, where he will rejoin the team when it comes home after Thursday’s game. There is no word as to whether Pierce, 38, will be available for the Clippers when they host the Washington Wizards on Sunday afternoon at 12:30 at Staples Center. – Doc Rivers and his players talked quite a bit about the defense the team played in this victory. The Celtics shot just 34.8 percent from the field and much of that was because of that defense. Boston’s Isaiah Thomas scored a game-high 24 points, but he shot just 5 of 14 as 12 of his points came from the free-throw line. – The starters did not have to play in the fourth quarter for the second consecutive game, thanks to a 22-point lead (92-70) after three quarters that quickly grew to 25 at the outset of the fourth. Rivers liked that. “It’s huge, it’s huge,” he said. – Paul Pierce was off to a fine start, scoring eight points on 4 of 6 shooting, when he went down with w right ankle sprain in the second quarter. Rivers said Pierce will be out for “a little bit. We don’t know how long yet.” Pierce also had three rebounds, two assists and a steal. – The Clippers’ bench had a solid outing, scoring 67 of the team’s 114 points – more than half. Austin Rivers led the reserves – and the entire team – with 16 points. Jamal Crawford scored 15, Wes Johnson 11 and Jeff Green 10. That’s not to mention that Cole Aldrich had six points on 3 of 3 shooting and also pulled down seven rebounds in just under 14 minutes. – By the time this night was over, it became apparent that there is a chance the Clippers will not be playing Memphis in the first round, as most are expecting. That’s because the Grizzlies lost at home to San Antonio and Portland defeated Sacramento. Memphis is in fifth-place in the Western Conference standings and would place the fourth-place Clippers if the standings don’t change. But the sixth-place Trail Blazers are now just 2 1/2 games behind the Grizzlies. Memphis has eight games remaining, Portland seven. If those two teams switch spots, the Clippers would play the Trail Blazers in the first round. There is little chance the Clippers won’t finish fourth.